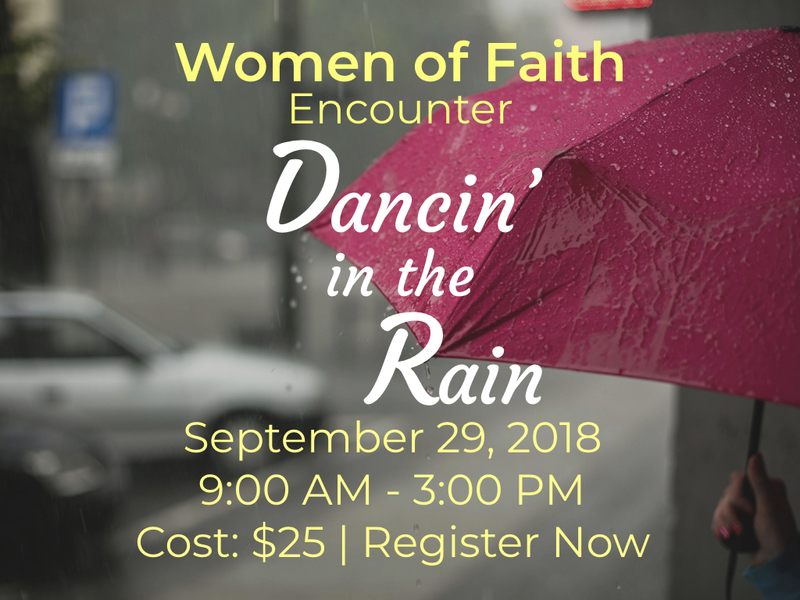 Women of Faith is hosting a fall encounter, “Dancin’ in the Rain” on Saturday, September 29 from 9:00 AM – 3:00 PM. Ladies can look forward to a time of fellowship as well as meaningful sessions with guest speaker Brenda Nevitt. The registration cost (includes lunch) is $25. Click HERE to register.